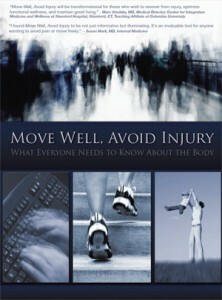 Move Well, Avoid Injury, contains two hours of 50 information rich sections that will be of great benefit to anyone who uses a computer, exercises, plays an instrument, dances or breathes. With this information you will learn how to avoid common yet unnecessary injuries and also how to move with freedom and ease. Learn more about the DVD at movewellavoidinjury.com.